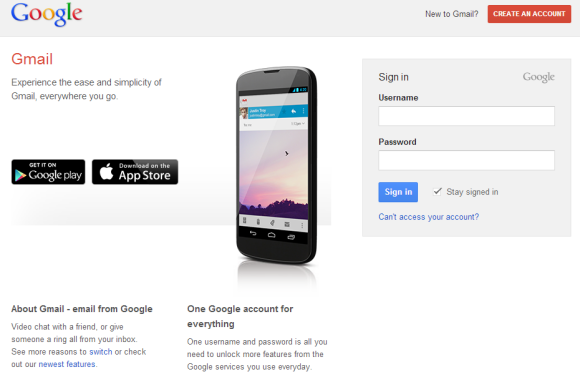 Gmail has a new login page that promotes the mobile apps for Android and iOS and shows a large picture of a Nexus 4 running the Gmail app. 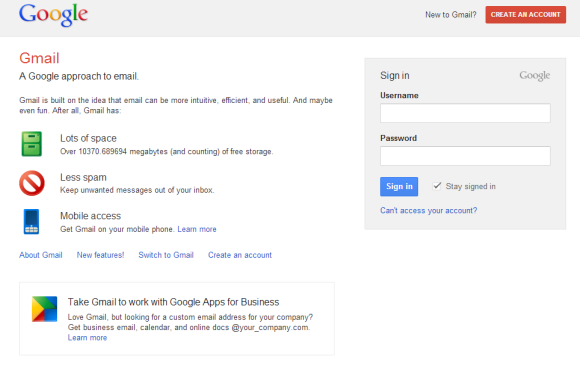 "Experience the ease and simplicity of Gmail, everywhere you go." If the old login page mentioned that Gmail offers lots of storage and has a great spam filtering technology, the new page promotes video chat and phone calling. "One username is all you need to unlock more features from the Google services you use everyday."